While some Americans have expressed concern that Texas Senator Ted Cruz, a potential presidential candidate, is a citizen of both Canada and the U.S., Canadians are probably more sanguine about the prospect of a fellow countryman living in the White House. Alas, Cruz says he plans to renounce his Canadian citizenship, so his northern neighbours may have to settle for all those references to "a Canadian-born contender," should the time come. That the Texas senator is considering seeking the Republican nomination in 2016 is an open secret in Washington. And while he was born in Calgary in 1970, that does not make him ineligible for the White House job. To be president, the U.S. Constitution stipulates one must be "a natural born citizen," but that designation applies to someone born outside the U.S. if he or she has at least one American parent, according to U.S. law. Cruz&apos;s mother was born in Wilmington, Delaware. His father was born in Matanzas, Cuba, and moved to the U.S. in 1957. The family returned to the States from Calgary when Ted was four. On his Senate website, Cruz&apos;s biography mentions where his parents were born but not his own birthplace. 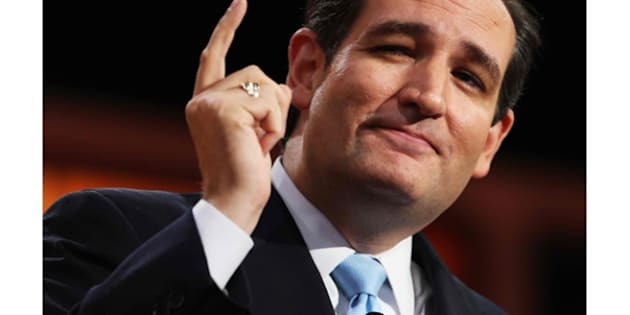 Because the issue of his Canadian citizenship may be a political, rather than a legal, obstacle on his road to the White House, Cruz said on Monday that he would renounce his Canadian citizenship. "Nothing against Canada," he added. Should Cruz become president, he will — from a Canadian perspective at least — be following in the footsteps of Andrew Bonar Law, who was British prime minister in 1922-23. He was born in Kingston, N.B. in 1858 and that&apos;s where he grew up, until he was 12, when he was sent to live with relatives in Scotland. Some Americans, it seems, are already gearing up for another "birther" controversy like the kind that dogged President Barack Obama from time to time because of his Kenyan father. Canada considers anyone born in Canada since 1947 a Canadian citizen, with minor exceptions, like children of foreign diplomats. Before 1947, there were more significant exceptions, but that&apos;s another story. Both Canadian and American laws permit someone to hold dual American and Canadian citizenship, so that&apos;s not a problem for Cruz. But if he does go through with renouncing his Canadian citizenship, he will be one of about 200 Canadians who do so each year, based on the annual average over the past three years. There are reasons besides a run for the U.S. presidency that lead people to renounce their citizenship. A big one is that some countries do not accept dual citizenship and make it a requirement that applicants renounce citizenships elsewhere if they want to be a citizen of these nations. For Americans, especially, there are financial and tax reasons to renounce their citizenship. Nevertheless, the number of Americans who renounced their citizenship is proportionately similar to the number for Canadians — in 2011, 1,781 Americans and 183 Canadians did so. For 2012, the number of Canadian renouncers increased to 192. For one prominent Canadian, the issue was that he wanted to accept a title. That was in 2001, after media mogul Conrad Black had been offered a seat in the House of Lords by British Prime Minister Tony Blair three years earlier. Black was then resident in the U.K. In Canada, the Jean Chrétien government raised objections, and pointed to a 1917 resolution that said Canadians should not be given titles. Black took his fight to the courts. But when he lost he chose to renounce his Canadian citizenship and accept the peerage, becoming Lord Black of Crossharbour. In his 2011 book, A Matter of Principle, Black writes, "I may have made a mistake in renouncing my Canadian citizenship." Canadian citizens can give up their citizenship as long as they meet the following criteria: they are, or will become, citizens of another country if their application to renounce is approved; they are at least 18 years old; they live in Canada; and they are not considered "a threat to Canada’s security or part of a pattern of criminal activity," according to Citizenship and Immigration Canada (CIC). The CIC rules add that you also must "understand the significance" of what you&apos;re doing. - Fill out and send the "Application to Renounce Canadian Citizenship." - Pay a $100 application fee. - Wait. If it&apos;s a routine application and he doesn&apos;t forget to include any required document, it should take about four months. He can even check the status of his application on the CIC website. - CIC may advise Cruz he "may have to be interviewed by a citizenship judge." Since he has a residence in Washington, a Canadian embassy official would contact him with information about how the interview will be conducted. If Cruz&apos;s application is approved, CIC will send him a certificate of renunciation. Since American media have published images of his Canadian birth certificate, it seems fair to assume they will want to publish that future certificate as well.